Ideal for the demands of travelling days. It is trendy, and yet spacious for your personal belongings. 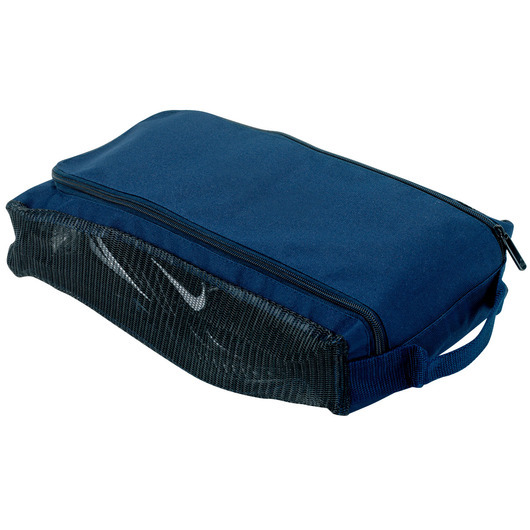 Fashionable show carrier bag for travelling, gym, or sports. This bag is specifically design for the person who is always on the go. Made from durable polyester with PVC backing giving it a carrying capacity of 8.5 litres. 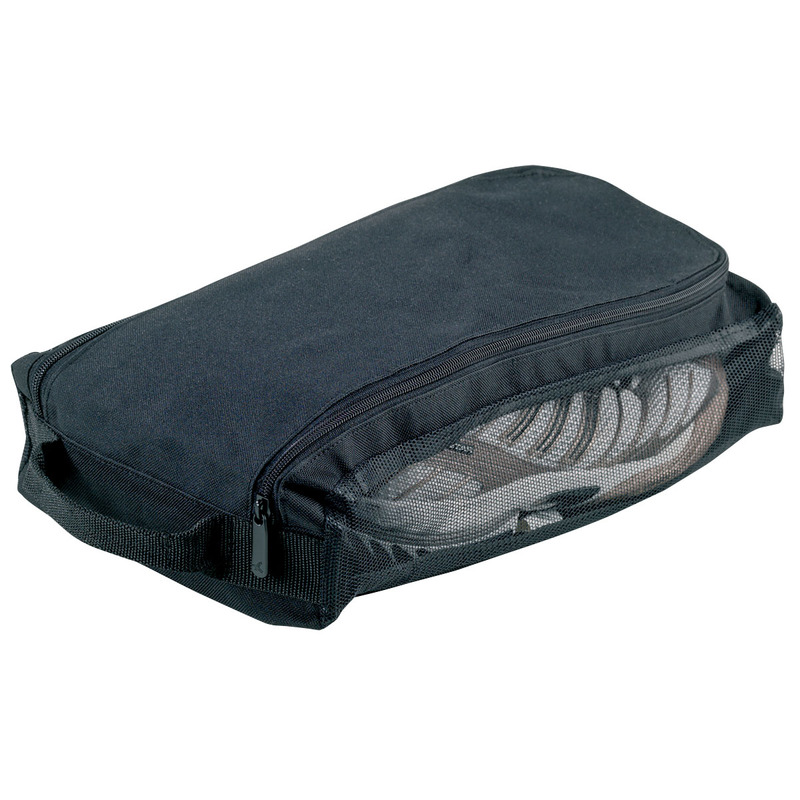 It also features a U-shaped single zippered main compartment with mesh sides, webbing carry handles, and a business card holder on back.